Steven Butala: It’s not real sunny today. Jill DeWit: No it’s not. Steven Butala: You might think that this is a great therapy session. Jill DeWit: … this is not a Dr. Laura show. Steven Butala: It’s not. It’s … we are and continue to develop relationships with our membership group, certain people in our membership group, and it’s working out great. Jill DeWit: That’s not what I thought that this was about at all. So this will be good. Steven Butala: What’d you think it was going to be about? Jill DeWit: Well, I’ll tell you when we get into it. Steven Butala: Before we get into the show, let’s take a question posted by one of our members on the landinvestors.com online community. It’s free. Jill DeWit: Carly asks what are some common ways you all partner on deals? The only one I’ve heard of is that I have the deal and do all the work and then the partner puts up all the money. And then we split the profit 50, 50. That way is fine. I was just thinking about a letter I just got back and figured I’d see what the experts were doing before I reached out to anyone. Jill DeWit: Since the beginning of time or money? Steven Butala: Since the beginning of money. Jill DeWit: Okay. Since the beginning of money, it’s true. Steven Butala: People have made, literally made, fortunes without a dollar of their own money. Steven Butala: And rich people have made bigger fortunes than they already have without doing any work. Steven Butala: So this is not a new concept that I came up with. This is something that has just been going on forever. We are on both ends of that all the time. We are the money providers and we are also, for really large, really expensive SFR transactions and movie star ranches, we pull in partners. And we, knock on wood, we have … Everybody’s been happy as heck for … We’ve been doing this for years. So if you need financing, we’re going to call it financing, go to landinvestors.com and there’s a form. Right at the … There’s on that top menu item that says get funded, or something like that. And fill out the form and if it’s … It’s gotta be a good deal. It all hinges on two things. Steven Butala: Like we don’t check credit or any of that silly stuff, that’s for the banks and for the birds. The deal has to be fantastic. Because that’s why we’re all here. Steven Butala: And you have to be fantastic. If you’re not fantastic and you have a terrible deal, you’re going to get rejected. Steven Butala: Yeah, I’ll tell you what … and it says right on there, 25% of the deals that we look at get funded. Jill DeWit: Yeah. Because either you or your deal might not be fantastic. Steven Butala: Be prepared. Be prepared to submit four transactions and get one accepted. Jill DeWit: Or just save up the good ones. The point is, you should be, these should be … You shouldn’t be submitting things, by the way, that are like, oh I just want another pair of eyes. I’m going to let them decide if we should do the deal or not and just submit everything. Don’t do that, because then you’re going to quickly … you’re going to label yourself as not fantastic. Steven Butala: Yeah. This is not, would you do this deal. Steven Butala: Actually, that’s going to make … I’m on the back end of that, personally. Like there’s … Most of the stuff I don’t personally deal with. But I’m on the back end of that personally and after the second time that happens, you’re just going to get black listed. You know what, that hasn’t happened to anybody yet. Jill DeWit: Not yet. Thank goodness. Steven Butala: And Justin Sliva and I are starting something this Friday called Finance Friday. Where we’re actually going to review the deals and we’re going to take a look at the stuff that’s been submitted and it’s a real good idea. Steven Butala: Yeah. So the whole point to all this, since they asked the question, and it kind of cracks into relationships. Whole point of this is for you to get, you as a member, to get overzealous on the type of mail you send out. Like, I don’t want you to sit around and say, yeah, I only have $15,000 that I’ve allocated for this whole silly Land Academy thing, so I’m only going to send out letters for five acre properties that I’m going to buy for $5,000. Throw that away. If you’ve already done a few deals, what I want you to do is say, I’m Superman. I’m going to send out deals that single family residences that I’ve identified or I’m going to send out info lots in a Dallas area or you name it. Yeah, it’s going to cost $60,000 to buy these properties, because that’s how I priced them. Steven Butala: I don’t have $60,000. But they’re worth 100. Steven Butala: 150. And I don’t hae the dough, but I’m going to be banking on the fact that these guys are going to hook me up. And we will. Steven Butala: Personally I will. Steven Butala: I manage … You know why I personally handle this part of it? Because I like it. Jill DeWit: I know you do. Steven Butala: I like doing deals. Steven Butala: Talk shows, not so much. Deals, yes. Jill DeWit: What … Well we’ll get to that later. Steven Butala: Today’s topic, relationships. This is the meat of the show. Jill, do you have … I can sense that you have stuff to say here. Steven Butala: I can’t wait to hear this. Jill DeWit: Which is the … which is like the lady last night that I wasn’t so thrilled about that she recovered well when we had dinner. Jill DeWit: At the Chart House. Steven Butala: Did you ever go out to dinner with somebody and … this is like … I was thinking about this while I was out there, because this never happens with Jill. Ever. Jill’s like … Jill’s personality is exactly like how she is on the show. Steven Butala: She’s like the sweetest girl there ever was, seriously. Wakes up with a smile on her face, honestly. Steven Butala: Every once in a while, some stuff just gets under her skin. It usually has to do with she hasn’t eaten for like two days or whatever reason. I think that’s what was going on last night. Jill DeWit: I don’t know, I was a little frustrated. Steven Butala: So when it happens, I just think it’s the most entertaining thing. However, when it happened … like sometime people, it’s the norm. Like they send their food back six times. Steven Butala: At every single restaurant event. That is a deal killer for me. Like if that happened once I would be done with that whole relationship, since we’re talking about relationships. I have a peeve about that. It’s like come on, man. Jill DeWit: I know. I understand. Steven Butala: Stuff’s not perfect. Steven Butala: It was called Restaurant or something or a waiter. Jill DeWit: Yeah, that’s it. Had the Deadpool guy, I’m like, in it. So it was hilarious. So Lord knows what they do in the kitchen to the food after you send it back a couple times. Steven Butala: Well they show you in that movie. Jill DeWit: That’s why I’m like … not that I have ever. I really will officially, I don’t care what it is, I will never send food back. Jill DeWit: So yeah. That’s so funny. So those are the other. So I guess, so you have your professional, we talked about there’s different versions. Like you’re talking about. You know in every way you’ve gotta develop these relationships. You develop your professional ones, like we’re talking about with investors. And part of developing these relationships is you know, be a good person. I look at that. Be transparent, be honest. Do the right thing. And I guess, if you do those things, you just kind of follow along that. Even if it’s something you don’t like, you’re honest and you just say, hey, this does not sit well with me. You’re never going to go wrong. Steven Butala: I had a professional psychologist tell me this, don’t ask me why I was talking to a professional psychologist. It was a lot of years ago. And she said relationships have to be mutual. Steven Butala: With the mutual. Steven Butala: The only exception is like the military. Where there’s a chain of command down. Jill DeWit: Like you gotta get something and give something. Steven Butala: Yes, and it has to be equal, in general. Jill DeWit: I like this therapist. Steven Butala: However, most of the time, almost all the time there has to be somebody who’s in charge. And that’s where it gets all messy. This whole week is called Working with Your Spouse Week. Steven Butala: Really interesting topics. Jill DeWit: We are how many minutes into show one this week and it’s like we’re talking about things getting messy. Oh boy. What’s coming. Steven Butala: So let’s take a typical real estate deal and, well, we’ll save it for tomorrow. Because tomorrow’s like Working with Your Spouse, that’s the title. Jill DeWit: Oh. All right. Steven Butala: So give me an example, please, of a relationship that has really worked for you, long term, not me. And when that hasn’t. Jill DeWit: Okay. I have a particular employee that’s been with us for several years. The first year or so was rough. But then we found our groove and got that person where they need to be. And now I don’t even think about them. And it just took a lot of time. It was a lot of nurturing, a lot of back and forth, you know. Even though one of us a boss and it’s not them. Steven Butala: Jill softens everything. Jill DeWit: Thank you. There’s times I had to remind them. Steven Butala: Here’s how I say it. I’m the freaking boss. I’m the freaking owner. And this is how it’s going to go. Jill DeWit: Yeah, I don’t do that. But it’s long term. Steven Butala: That’s why they don’t let me come into the office that much. Jill DeWit: And we got him there. So I felt great about that. One that didn’t go well, it’s the same example. I mean, it’s easy to bring up a work example. Or even friend examples, but I’m just going to keep it with business. But gosh, we’ve had plenty of work examples where … You know what, here’s what happened. I’ve a great work example that failed. And I had to let the person go. And it was so bad that by the time I let the person go, I actually had written up and I kind of stood there and handed it to her and it was just kind of like, yeah, I get it. There was no arguing. It was kind of like, you’re either doing your job or you’re not. And it’s like it’s black and white. And I don’t understand how someone can actually stare and you and go, yeah, you’re right, I guess I didn’t do my job. Steven Butala: I’ve never let somebody go in the history of the million people who have worked for us, and me before you, I’ve never let somebody go where they were shocked. Where they’re like, what are you talking about? Steven Butala: I’m the greatest thing ever. Steven Butala: They all say, yeah. Actually, you know, I’ve already cleaned my desk out, thanks. Jill DeWit: Yeah, I expected this three weeks ago. Jill DeWit: And then I’m like I’m a ding dong for letting it drag on this long. But I keep … I’m trying to make them work, I’m trying to do the right thing. That’s part of it. You have to … Like these relationships, you have to know when to cut them off. And sometimes it’s hard. You know. Steven Butala: We got a really good crew right now. Jill DeWit: We do. We really do. Steven Butala: I think some of it sometimes our employees listen to some of the stuff that we say. Because they edit this. Steven Butala: Oh my gosh, I’m next. No. Steven Butala: We have the greatest crew right now, ever. Steven Butala: Seriously, I’m not just saying that. Jill DeWit: I know, we do. We really do. Steven Butala: And I hope it’s mutual. Jill DeWit: So give me … how about some … Do you want to talk about other relationships. You wanna give your examples and good ones and not good ones? Steven Butala: So men socially … Men and friendship, when you start to make a lot of money no one tells you this. So I’ll tell you. Steven Butala: When you start to make a lot of money and it shows, maybe you changed the car you’re driving, where you live, some stuff like that, you get a really pretty girl. I’m a glaring example of all this stuff. Steven Butala: You lose friends. You know, I’ve lost some of my, probably five, what I thought were lifelong friends in the last three years. Since we started this show and started getting all kinds of notoriety and people are recognizing us in Costco and stuff. You know, there’s this alpha male problem that goes on with men and, you know, it’s not a good thing. I don’t like it. I know you’ve lost a couple of friends recently. Steven Butala: In the last couple of years because of this … like girlfriends. Jill DeWit: I have. I concur. Steven Butala: So I don’t think it’s anything that we do. Steven Butala: I just think it’s hard for people to watch. Steven Butala: So it’s too bad. Jill DeWit: Usually it’s … you know, yeah. Steven Butala: You know that whole cliché, it’s lonely at the top. Which I thought was a … we’re not, like, come on. We’re nowhere near the top and we never will be. Steven Butala: And I don’t want to be. Steven Butala: We’re at the top of probably the Land Investment business. Steven Butala: Yeah, well you know what, we are at the top of that. Steven Butala: Which is a tiny little, you know, little … We’re tiny little fish in a tiny little pond. Steven Butala: But it’s a profitable pond. Jill DeWit: We’re like Hawaii compared to all the other continents. Steven Butala: Still it’s just, you know. Jill DeWit: But we’re the big island. Steven Butala: I’ve actually had conversations with my buddies, two guys specifically, and they’re like … they just deny it. They’re like what are you talking about? No, I just have stuff to do. Steven Butala: No you don’t. Steven Butala: But, like my sister, I have the greatest relationship with my sister that there ever was. Jill DeWit: Oh, and I do with my brother, too. Steven Butala: And Jill, not so much. You know, it’s just, I don’t know. Jill DeWit: We’re different people. Steven Butala: Just have to go into it. Steven Butala: Then everybody wins. It’s not hard. It’s not hard for you. Jill DeWit: Well, if you’re with the right people. If you’re both giving, you know you’re both trying to one up each other with giving more, then it’s going to work and work great. 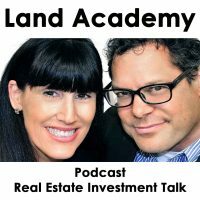 Steven Butala: If you take this attitude into a real estate deal with the seller, specifically with the seller, not so much a buyer, I don’t care about the buyers. You’re going to win. Like that’s how we got to 16,000 transactions. That’s why … We’re in a market right now where we buy houses and every deal that I talk to and I ask our people to do this, too, every single deal I say, you know, you get a lot of letters like this? And they all say this, we get a lot of letters, but nothing like this. Jill DeWit: That has my name on it. Steven Butala: … just to get them all Jillified, you know. Jill DeWit: Thank you. I do. Jill DeWit: A month to clean out the garage. Steven Butala: Yeah. Or can you help me clean out the garage, because I’m older? Steven Butala: I live in Boston and my house is in Arizona or whatever. Steven Butala: So we always do that for them. We call it the concierge service. We get a lot more deals because of that. All the details of that are in the HouseAcademy program that’s coming up. That’s not a plug, that’s just really … it really works. Jill’s done, I can tell. 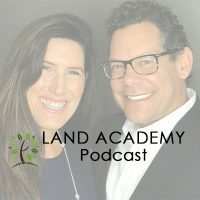 Well, you’ve done it again, you’ve spent another 15 minutes or so listening to the Land Academy Show. Join us next time where we discuss Working with Your Spouse. 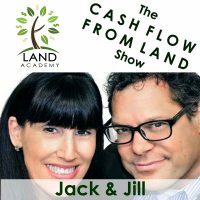 Jill DeWit: And answer your questions posted on our online community, landinvestors.com. It’s free. Jill DeWit: So you look like you’re parka’d up for the tundra here. Steven Butala: This serves two purposes. Number one, it’s awful today in Los Angeles. Steven Butala: It’s like gale force winds on the water. So that’s number one. And number two is, tomorrow you’ll see me wearing this, right here, and the next day you’ll see me wearing this. Jill DeWit: Kinda figured. Are you going to go all the way down till you have no shirt? Steven Butala: And then maybe just after that you’ll see this. Jill DeWit: Can you imagine? Wait. What if we did that. Okay so this is me for Monday, this is me for Tuesday, and then this is me for Wednesday. Like tune in Wednesday, there’ll be nothing on. I’ll just be sitting in my bra. Steven Butala: That’d be great. That’d be … that would go viral. Jill DeWit: Podcast strip poker. Strip podcast. Oh no. Jill DeWit: To sit here in my bra. Steven Butala: [inaudible] cash if you do this show in your bra three days from now. Jill DeWit: All right, let me think about it. Steven Butala: This is going to be [crosstalk]. Jill DeWit: There’s a part of me that might say yes. Steven Butala: This is great for our numbers. Jill DeWit: Totally. Can I do it in my bra? Because, why not. Oh my gosh. Steven Butala: I don’t know. I think YouTube might shut that down. Steven Butala: But there’s all kinds of crazy stuff on YouTube with bathing suits. You could do a bathing suit. Jill DeWit: I could do that. It’s a little cold out right now, though. We’ll see. Steven Butala: We wanna see it. Steven Butala: We are Steve and Jill. Information. Steven Butala: To buy undervalued property. Naked.